“Food insecurity” and related issues are now on the national political agenda, but much of the literature (for example, that dealing with “food deserts” or the benefits of SNAP participation) is little more than wishful thinking. Our book clears away a lot of the underbrush in the literature so the principal features of the policy landscape stand out more clearly. 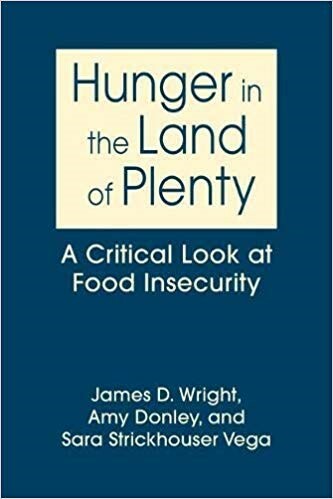 Hunger in the Land of Plenty is the first critical review of food insecurity in America and the various policy provisions that have been enacted to deal with the problem. The book is “critical” in the sense that it challenges well-established assumptions and conventional wisdom. It also spends as much time analyzing the various policy provisions that allegedly deal with the food insecurity problem (food pantries, SNAP, school lunch programs, Meals on Wheels) as on describing the extent and location of the problem. The book dismantles with evidence the basic paradigm of food insecurity theory. The existing literature on food insecurity is strewn across numerous disciplines: sociology, policy science, social work, economics, anthropology, nutrition, nursing, public health, agriculture and more. Ours is (we believe) the first effort to pull all these disciplinary literatures together into a single statement on the nature of the problem and various proposed solutions. “Food insecurity” and related issues are now on the national political agenda, but much of the literature (for example, that dealing with “food deserts” or the benefits of SNAP participation) is little more than wishful thinking. Our book clears away a lot of the underbrush in the literature so the principal features of the policy landscape stand out more clearly. The problem of food insecurity is a serious one but has been inadequately described in prior research, thus poorly understood, and most of the policies that have been enacted to deal with the problem fail for various reasons that are explored in detail. A far-reaching and important conversation on food insecurity that raises a number of critical questions-not just about the issue itself, but about the assumptions we make about it. There are approximately 200 nations on the face of the earth and right now, social science is being practiced in every one of them. How much of the global enterprise is known to US social scientists? 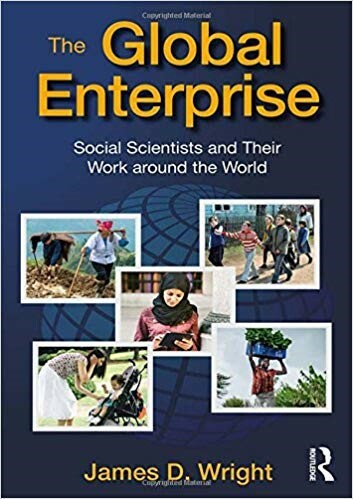 Through an analysis of and commentary on 26 separate research studies, each focused on a different topic, discipline, methodology and national context, the book provides a fascinating depiction of the scope of the global social science enterprise in the world today. From remittances of Filipino workers back to their families to efforts at historical preservation in the People’s Republic of China, from the post-transition development of agriculture in Hungary to the sexual abuse of children in New Zealand, from earthquake research in Japan to network jihadi terrorism, The Global Enterprise is both fascinating and informative to anyone interested in what the social science disciplines have to contribute to contemporary social trends and developments. How have Muslims accommodated to life in Western societies? What were the demographic consequences of the First World War? What are the economic, social and environmental costs and benefits of hosting a cruise ship terminal? Has the situation of Honduran street children improved in the past two decades? Has NAFTA been the economic disaster it is made out to be in contemporary political discourse? What is the state of public health in Africa? If these are the kinds of questions you find intriguing, or the sorts of things you would like your students to be informed about, then you owe The Global Enterprise a serious look. Lost Souls examines the complexities and ambiguities in modern society in the context of the seven deadly sins and their corresponding virtues. Are we all lost souls, condemned by our immoral deeds, or are the trappings of older sin deteriorating? Is it time, finally, to reconsider the classifications of evil and good? What is the state of contemporary American morality? 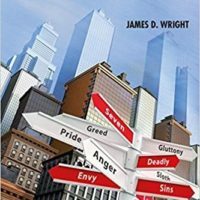 From their original conception in Christian scripture to their assimilation into Western culture, the ‘Seven Deadly Sins’ – lust, greed, envy, pride and all the rest – have guided human morality, steering human behavior and psychology away from evil and toward a full embrace of what is good. But their hold on modern life is increasingly tenuous. Indeed, deadly sin has become far more common and more commonly practiced than its virtuous counterparts – humility, charity, kindness, industriousness. Without greed there is no economy; without anger, no politics; and without pride and envy, little motivation and no accomplishment. 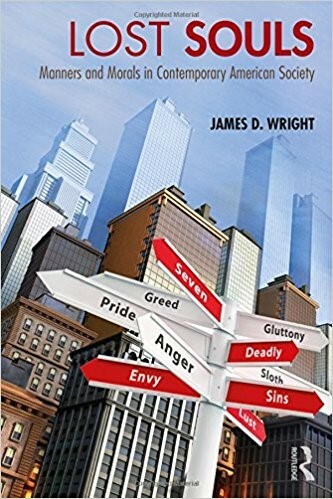 Each chapter (one for each sin) considers how the social sciences have operationalized these sins, how they have been studied, and what lessons have been learned over time. The book reviews recent trends and contemplates the societal costs and benefits of the behaviors in question. Lost Souls emerges as a meditation on contemporary sin, concluding that the line between guilt and innocence, right and wrong, is often very thin. “…a clear view and analysis of contemporary culture and morality with insights in every chapter. His writing is so engaging – and often funny – that you don’t realize how much you are learning about sociological theory and social history until after you have finished a chapter…clear, scholarly and very readable. 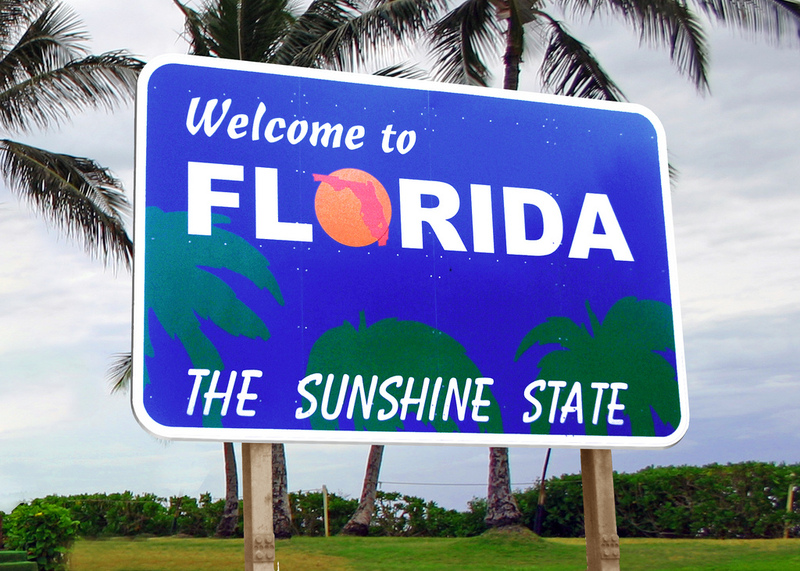 I loved it.” – Murray Webster, University of North Carolina, Charlotte. The Cultural Revolution was an important event in China’s modern history. Beginning in 1966, the Great Proletarian Cultural Revolution, as it was originally known, was Mao Zedong’s attempt to extend and solidify the personality cult that had grown up around him, to purge allegedly “bourgeois,” capitalist, and traditional elements from Chinese society, and to seal his authority as the ideological leader of the Community Party of China. Mao’s war was nominally against the “revisionists” who were allegedly infiltrating government, the polity, the economy and society at large and who were to be removed through violent class struggle. But the Cultural Revolution evolved into a much wider struggle over the future of the Chinese state. In the end, it became mainly an ideological trope that justified the wanton, brutal murders of millions of Chinese. This book tells the story of two such murders, the murder of Mr. Wang Jin on September 29, 1966 by 31 Red Guards in the Nanjing Foreign Language School, where author Zhang was a young student at the time; and the earlier murder of Mrs. Bian Zhongyun on August 5, 1966. These two murders mark the beginning and the end of old Red Guard violence in the CR. The book is thus a history of two small incidents in a massive social injustice and also an attempt to understand the CR within the framework of modern social movement theory. “…ground-breaking… a new and meaningful approach towards the study on Red Guard violence…” – Yonsyi Song, California State University at Los Angeles. 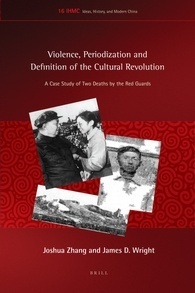 Joshua Zhang and James D. Wright, Violence, Periodization and Definition of the Cultural Revolution: A Case Study of Two Deaths by the Red Guards was published in 2018 in both print and electronic versions by the Dutch publisher Koninklijke Brill. For information on purchasing, visit brill.com. IESBS 2/e took First Prize for Excellence in Reference Works (all fields), awarded by the Association of American Publisher’s Professional and Scholarly Publishing Division PROSE Awards, February, 2016. The Encyclopedia also won the PROSE Award for Excellence in Multi-volume Reference Work, Humanities and Social Sciences, March, 2016. The work was published by Elsevier in 2015. Social science has tried to tackle some of the most formidable problems that confront civilization: poverty, destitution and homelessness; revolution and social transformations; relations among the races, genders, and classes; the sources and dynamics of inequality; crime and violence; and the like. As a science, we believe that these troubles of the human condition can be approached scientifically, that theories and hypotheses about them can be formulated and tested against empirical evidence, that faulty viewpoints can be uncovered and discarded, and that correct theory can be distinguished from mere ideology. The essays collected here, all of which originaly appeared in Society Magazine, were written in that spirit. The founder and long-time editor of Society, Irving Louis Horowitz, wrote 20 years ago about the “decomposition” of sociology and contended that the discipline had been transformed from a central discipline within the social sciences to “an ideological outpost of political extremism.” If he is right, all hope for the discipline evaporates. The essays printed in this volume constitute a thin sliver of evidence that he is wrong. The book ranges widely over topics such as public opinion and the war in Vietnam, America’s homeless, the minimum wage, the depiction of sociology in the popular press, guns in America, the social advantages of good looks, the future of the American small town, and the nature and treatment of addictions. What ties these diverse topics into a whole is only that they are the things I have spent my life studying and writing about. Published by Transaction Publishers in 2016.